These are all full scale (1:12) items. To see items in other scales, select appropriate category. 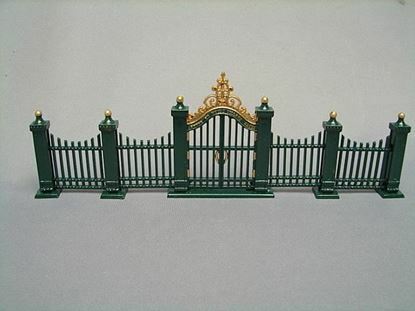 Miniature wrought iron gate and fence. Size: 9.25" x 3" and made of metal. Retired in 1998. New in the box in mint condition, the box has hand writing on it and spots where some old price tags? were removed.